The latest addition to the ballot paper for the upcoming local elections in the Ballina Municipal District has made a bold entrance to the race by challenging the electorate to “break the habit of voting for those that have let them down”. 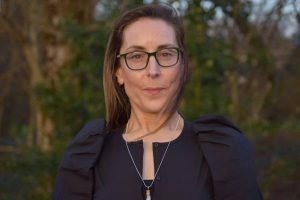 Ireland’s newest political party, Aontú, which was formed by former Sinn Féin TD Peadar Toibin, has revealed that Cathy Gaffney is its third local election candidate in Mayo. Ms Gaffney has been living in Ballina for the last 20 years and has extended family in the Knockmore and Foxford areas. One of her first forays into the political scene in Mayo was when she became part of the local team that mobilised to oppose the introduction of water charges. Avowedly pro-life, Ms Gaffney believes political parties lose the authority to discuss social justice when the most vulnerable in society — the unborn — are denied the right to life. She believes women in crisis pregnancy need to be offered positive solutions and real support. Although she will continue to fight for the unborn, Ms Gaffney empathises with those women that campaigned to repeal the 8th in the instance of fatal foetal abnormality. The mounting housing crisis and its impact in Ballina, in particular, is another major issue of concern for her. Ms Gaffney says that decades of Fine Gael and Fianna Fáil-dominated Governments have left too many people falling behind, particularly in north Mayo. An advocate for balanced development between both the regions as well as urban and rural areas, Ms Gaffney says she admires Aontú leader Peadar Toibín as a real republican who cherishes all Irish children and is delighted to be part of his party. Foxford native Cathy Gaffney is running for Aontú in the Ballina Municipal District.